Over the last few months I’ve been thrilled to be a UK Featured pinner on Pinterest. My love of Pinterest knows no bounds and I’ve spend a lot of time researching how to get the best from it, both from a personal and blogging perspective. I wrote a post last month on how to use it for your blog and I’ve also published an article on the NEXT Blogger Network on how to use the new Pinterest Smart Feed. Recently I’ve been researching ideas and inspiration for #ProjectAttic in preparation for the loft conversion, and pulling together some new boards on some of the latest interior trends. This one, on Plants, has been gaining in popularity recently. And my Spring Trends board has been really good fun to put together. This last weekend saw my Pinterest profile gain over 500K followers, which was so exciting. I can’t begin to tell you what this means to me, but let’s just say, I’m a little bit over the moon. In recognition of this event, I’d like to give a little back, as a thank you to people who have supported me, and to those who have helped me along the way. Obviously being a UK featured pinner has really given me a huge boost, and I’m very grateful. I would like to offer one blogger per month the opportunity to create a Pinterest board on my account, featuring their favourite home interior pins. Each featured pinner will be able to pin into the board for that month, and it will stay live for a year. 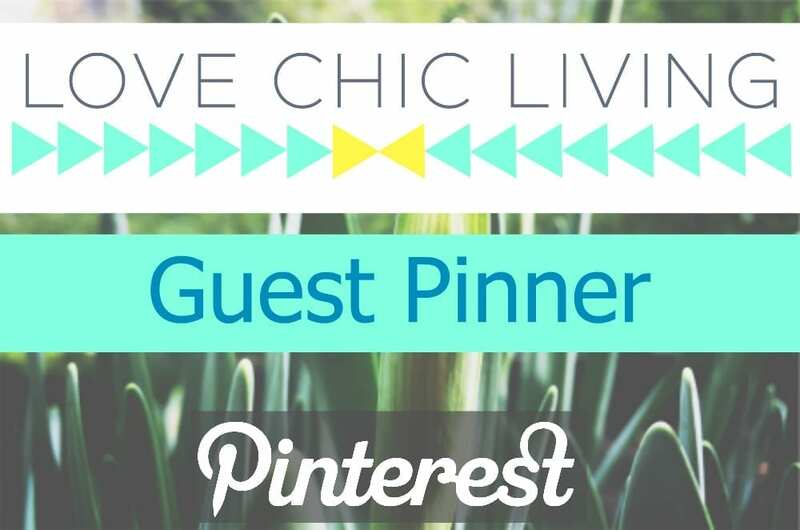 Pins can be from the bloggers’ website, from other sites and blogs, or repins from Pinterest. There will be a set of guidelines to follow but nothing too complicated, just so that boards fit in with my current profile. Then each month, I’ll do a short blog post introducing the guest pinner and showcasing their board. So, who would like to go first? I would love to hear from you if you would like to take me up on this opportunity. I would like to have the first pinner set up and ready to go for the beginning of March, so if you’d like to be considered, either drop me an email at jen@lovechicliving.co.uk or leave a comment below with your Pinterest ID. I’m so impressed Jen – you have done amazingly well! I’ve yet to really get to grips with it as my blog isn’t very visual, but I will definitely be sharing this opportunity. that’s an amazing number! I’d love to take part. OMG! Such a great achievement, Jen. I take my hat off to you. Pinterest is so hard to crack these days and you’ve done so well. If you find my Pinterest boards interesting, I would love to be your Guest Pinner! Hi Jen – I would absolutely LOVE to be a part of this – having fallen a little in love with Pinterest myself over the past year it would be great to create a board for you – with an organising in the house theme of course! Thanks for the opportunity, and well done on your fantastic milestone!